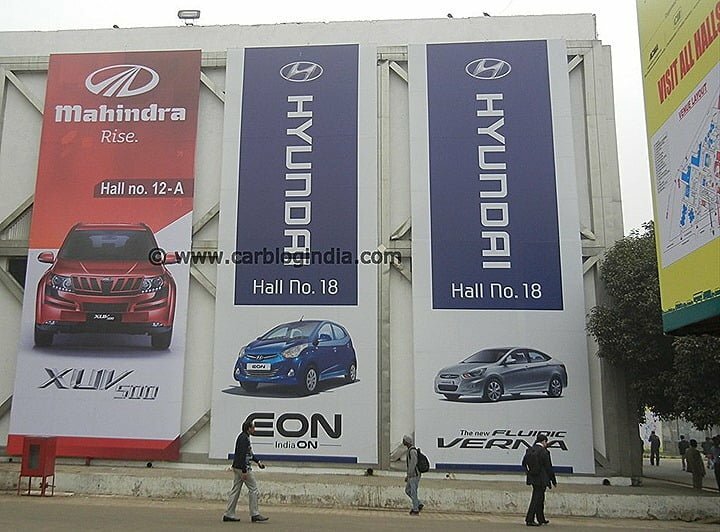 The Delhi Auto Expo 2012, although was a big hit in terms of the number of footfalls it commanded in the 5 days of the show, but the visitors and media were very disappointed with the bad crowd management and un availability of basic amenities. The Auto Expo has been held till date at Delhi’s Pragati Maidan. Now from the next edition onwards, this India’s flagship biennial automobile show will be held at Greater Noida. For the year 2014, the Auto Expo will be held from 6th to 12th February. The SIAM body announced this change stating the reason behind the change in venue and date was to avoid clash with the Detroit Auto Show and unavailability of Pragati Maidan in February. SIAM Director General Vishnu Mathur commented saying that the next Auto Expo, which will be held from February 6-12, we will be showing only vehicles and accessories at the India Expo Centre and Mart at Greater Noida. He also added that in the last edition of the Auto Expo Lot of global CEOs who wanted to be here couldn’t make themselves available because of their engagement with the Detroit Auto Show which is why SIAM decided to shift it to February. The auto components exhibition will be held in a separate location which is still worked out. Mr. Sugato Sen, SIAM Deputy Director General however reiterated that the 2014 edition will be much bigger in terms of exhibition space. At Greater Noida, the Auto Expo will be held in spread over 50,000 square metres of occupied space by exhibitors as compared to less than 40,000 square meter that was available in Pragati Maidan. SIAM will also be organizing a bus and utility vehicles show from February 15-18, 2013 at the same venue to have a trial run ahead of the 2014 Expo. SIAM hopes that eventually, the Indian Auto Expo will become the largest in the world. We are looking forward to the Auto Expo 2014 and will keep you posted with all the new and future happenings of the Indian car industry, stay tuned to Car Blog India for updates.